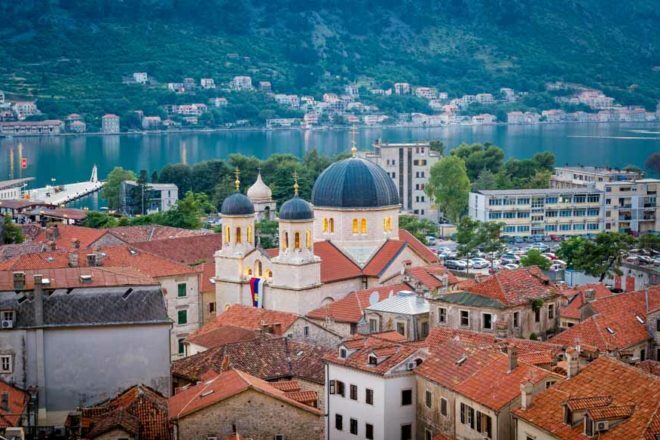 The Roman Catholic Cathedral of St Tryphon and traditional red roofs of Kotor, Montenegro. Don’t be disheartened if the heavens open up on Montenegro’s Adriatic Coast. Here’s six things to do in Kotor when it rains. Kotor’s gorgeous medieval walled old town, a UNESCO World Heritage site, is home to a thriving community of stray cats. No one knows exactly how they got here in the first place, but they have become an unofficial symbol of the city. The cute Cats Museum is filled with artworks, vintage advertising posters and postcards focusing on felines. Take a quick trip to neighbouring Perast, a fairy-tale medieval town also on the picturesque Gulf of Kotor that’s a 16-minute drive away. The town only has one main street but there are 16 churches and 17 grand palazzos to explore. The medieval walled town’s most imposing building, the Saint Tryphon Cathedral was first consecrated in 1166, and has since been damaged and rebuilt after major earthquakes in 1667 and 1979. Inside it is light and restive; browse the little stalls of religious icons and trinkets just outside its heavy wooden doors. The streets of the old town are also home to numerous poky little antique shops selling everything from vintage china to maritime pieces to old books. Nice souvenirs to buy are tiny little porcelain cats that you can find for just a few dollars each. The colourful joie de vivre of the lovely interiors in the restaurant of the Forza Mare boutique hotel will obliterate the inclement weather outside; at night it’s all fine dining but during the day you can linger over its signature sublime desserts with a serious coffee. 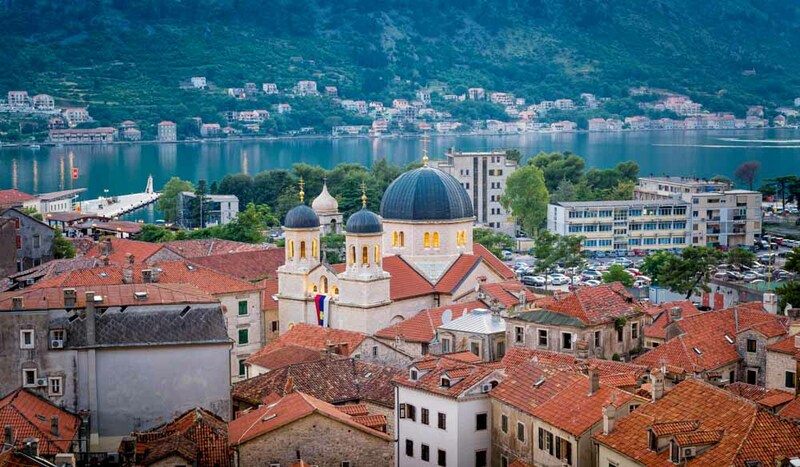 Kotor’s gorgeous coastal position and relationship with the Venetians have resulted in a rich maritime history, celebrated at the Maritime Museum of Montenegro. Housed in a gracious former palace, the displays include everything from artworks to maritime memorabilia to fully furnished rooms once belonging to the captains who plied the Mediterranean.